← How to create an offline DRM PDF file? I want the offline DRM PDF file be deleted after expire date. I'm using pdfprint to print own generated pdf documents. Pdf documents are generated using php TCPDF library (https://tcpdf.org/). Generally everything always prints ok. But there are some cases when no entire pdf is printed, some text are not printed. The problem occurs only when I'm using pdfprint. When I print the same document with AcrobatReader or PdfCreator everything is ok.
* during generating pdf when I replace all letters from ?, ? 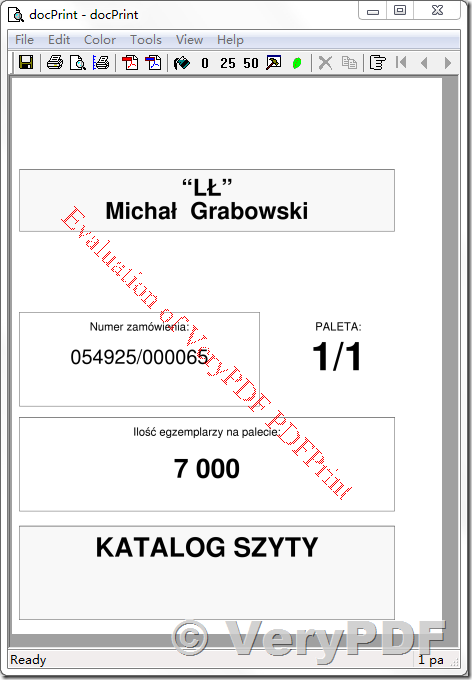 to l, L (these are polish national letters) then document prints ok. But this in not obligatory, some documents with those letter prints ok, some don't. * also in TCPDF I can set option setFontSubsetting to false, to disable embedded fonts optimization. Then document also prints correctly but pdf size is very big. It looks like some bug in pdfprint. Can you help me with this? I'm attaching example document which prints wrong. This entry was posted in PDF Print and tagged PDFPrint, print PDF, raste print pdf. Bookmark the permalink.